Pharmacy Technicians: Their Duties and Their Mistakes | Kennedy Hodges L.L.P. When you go to your local pharmacy to pick up your prescriptions, do you assume that the person behind the counter is a certified pharmacist? That assumption may be wrong. Many pharmacies employ more pharmacy technicians than actual certified pharmacists. The primary role of a pharmacy technician is supposed to be to provide an extra layer of safety for patients. Ideally, the pharmacy technician should help in pharmacy error prevention by following processes and informing the pharmacist if there are discrepancies or potential errors. The problem with modern pharmacy practice is that business owners don’t want to spend profits on extra labor. Pharmacies tend to rely heavily on lower-paid pharmacy techs to fulfill pharmacist duties. Rather than spending the money to use techs as a secondary security system, they use techs as a replacement for certified pharmacists. As a result, technicians often play a role in every aspect of a prescription order, including filling prescriptions without supervision or verification. Without someone to double-check fulfillment, pharmacy errors can occur. While most pharmacy techs are smart and precise, it’s important to remember that even the best technicians are still human and fallible. Since they have a hand in every part of the pharmacy process, they’re bound to make medication mistakes from time to time. Prescription drop-off. A pharmacy technician should verify if a patient has allergies or a medical condition. If a tech forgets to check with a customer and fails to update the patient’s information, the pharmacist will have no way of knowing if he’s giving the patient dangerous medicine. Prescription order entry. When a tech is entering prescriptions into the computer, he may not be aware of a new drug. He might select a drug that sounds similar to the correct one by accident. Also, techs have the ability to override drug alerts in the computer and not tell the pharmacist. Prescription fulfillment. Technicians may be assigned to fill medication containers. However, because they don’t have the same training as pharmacists, they may pick the wrong medication or get confused with look-alike or sound-alike drugs. Prescription pick-up. 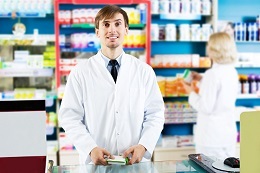 A technician is the one who customers generally see when picking up their prescriptions. If the tech doesn’t ask for a patient’s date of birth and address, the tech may hand the patient someone else’s prescription by mistake. Accurate labels. Double-check that the patient name, the drug name, the generic name (if applicable), and the count are all accurate. Accurate drug. Double-check that the description of the drug matches the appearance of the drug in the bottle. Accurate information. If the technician gives you any further instructions that are not indicated on the label, double-check the information with your doctor. Because they’re looking at their bottom line, many retail pharmacies are willing to sacrifice patient safety in hopes of saving money. Any person who has suffered harm at the hand of a pharmacy shouldn’t allow the technician, pharmacist, or pharmacy to get away with their negligence. To determine whether you have a valid claim—and who might be the target of that claim—speak with a pharmacy malpractice lawyer. You may be entitled to compensation for your medical expenses, lost wages, mental anguish, and pain and suffering. Call our office today in order to collect the most compensation possible in your case. We also encourage you to order a FREE copy of our book, How to Make Pharmacies Pay for Injuries Caused by Medication Errors. What Is the Difference Between a Pharmacy Technician and Pharmacist?